Following days of uncertainty surrounding the fate of the septuagenarian strongman who ruled Uzbekistan for more than a quarter of a century, the suspense is over: Islam Karimov is dead. Uzbekistan’s government confirmed his death on September 2 after he suffered a stroke in late August. News of the demise of the 78-year-old president — albeit far from unexpected — sends Uzbekistan into uncharted territory, with rival power groups apparently jostling over the succession. But one thing is clear: for Uzbekistan, the Karimov era is over. Under Karimov’s rule, Uzbekistan never staged an election deemed free and fair by credible international observers, and Karimov only once ran in a poll facing any genuine opposition. In 1991, he was challenged by Muhammad Solih, a poet-turned-politician whom Karimov trounced, and later had arrested. Solih subsequently fled into exile. In three elections held over the quarter of a century since, Karimov beat stalking horses with over 90 percent of the vote (most recently last year). He has also extended his rule via referendums and constitutional tinkering. Karimov liked to talk up his legacy as one of democracy, stability and prosperity, based on his “Uzbek model” of development. Loosely translated, that meant striving for self-sufficiency and promoting “Uzbek values” — a policy which bred bizarre edicts discouraging “western imports” from Valentine’s Day to Santa Claus and rap music. Karimov may have talked up his legacy, but in reality he bequeaths his successor an autocratic state in an economic mess, complete with a thriving currency black market and an impoverished population dependent on dwindling labor migrant remittances from recession-hit Russia. Karimov will likely be best remembered for two things: a massacre of demonstrators in the city of Andijan in 2005 that he blamed on an Islamic uprising (many witnesses and human rights advocates disagreed); and a Shakespearean family feud centered around his eldest daughter, Gulnara. Politician, businesswoman, pop diva and fashion designer, she was once a mover and shaker in Tashkent, memorably described in a WikiLeaks cable as a “robber baron” (for her habit of greedily grabbing assets) and “the single most hated person in the country”. Gulnara was tipped to succeed her father, but in 2014, targeted by international bribery and money-laundering probes, she was placed under house arrest in Tashkent, where she is believed to remain. Many in Uzbekistan have contrasted Karimov’s long indulgence of his daughter with his merciless attitude to others who step out of line. According to Human Rights Watch, Uzbekistan holds some 10,000 perceived regime opponents — political and religious dissidents, journalists, witnesses to the Andijan shootings — in jails where torture is rife. In one notorious case, two prisoners were boiled alive; in another, opposition activist Sanjar Umarov was choked until his vocal chords were permanently damaged. Another contentious human rights issue has been the use of slave labor in Uzbekistan’s cotton fields. 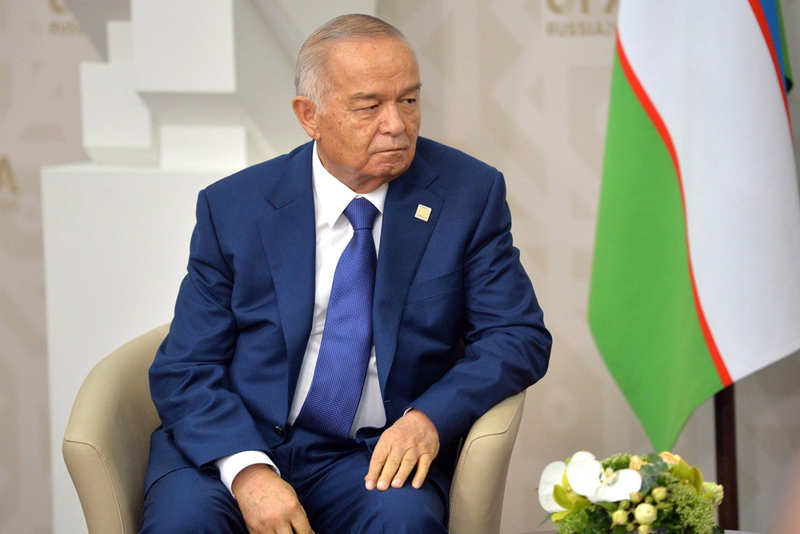 Karimov batted off criticism of his atrocious human rights record with talk of the need to defend Uzbekistan against religious extremism (bombings in Tashkent in 1999, which conspiracy theorists muttered were staged, sparked one crackdown, the Andijan protest another).